Huamantla (Spanish [wama'ntla] (help·info)) is a small city in Huamantla Municipality located in the eastern half of the Mexican state of Tlaxcala. The area has a long indigenous history, but the city itself was not founded until the early colonial period, in the 1530s. It is mostly agricultural but it is best known for its annual homage to an image of the Virgin Mary called Our Lady of Charity. 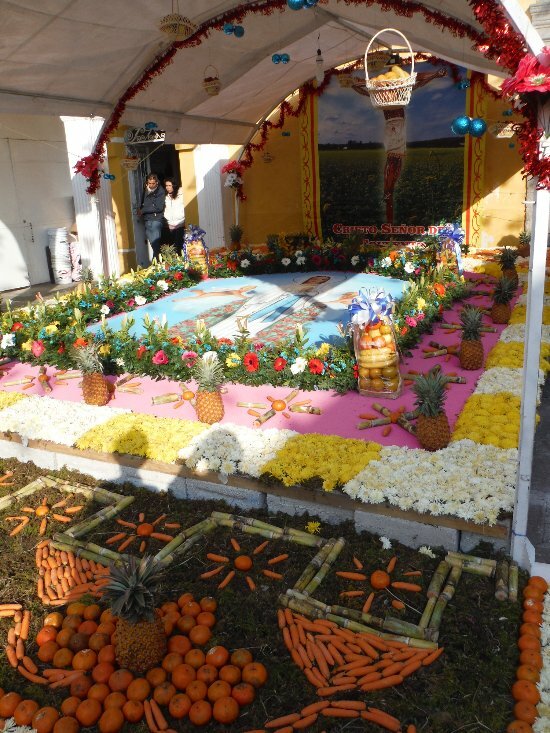 This includes a month of festivities, the best known of which are the “night no one sleeps” when residents create six km of “carpets” on the streets made from colored sawdust, flowers and other materials. The other is the “Huamantlada” a running of the bulls similar to that in Pamplona.